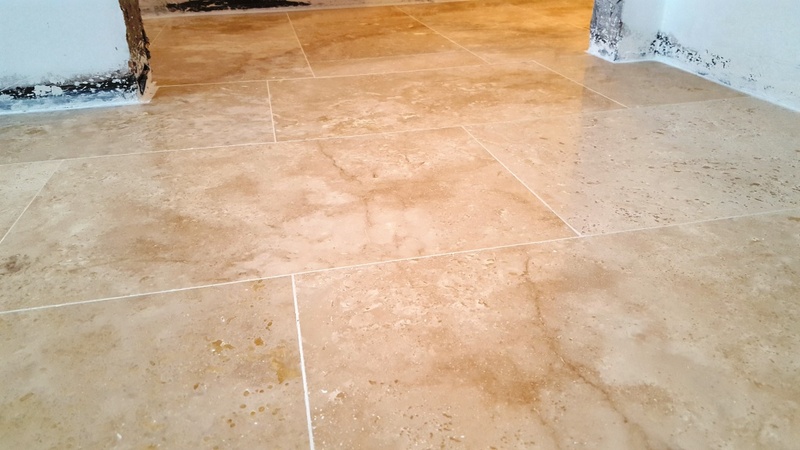 The customer, who lives in Swansea, the second largest city in Wales after Cardiff, had been searching for a company to rectify the problems with his Travertine tiled floor for a few months with no luck. Fortunately, he discovered Tile Doctor online and as their local agent I was asked to assess the problems first hand. 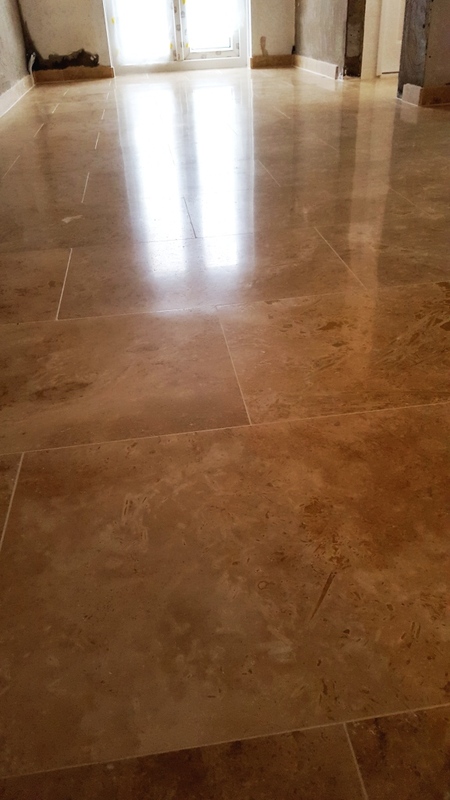 Upon my inspection, I was quite astounded by the way the Travertine floor had been installed. It covered an around 60 square metres and suffering severe lipping of 2-3 mm in some areas between tiles. Lipping occurs when you have variation in the height of adjoining tiles, and it can be quite a trip hazard. The floor was laid in September 2016 on a new screed, so I knew there would be no damp issues. I checked the spare tiles the customer had in surplus and determined they were 13mm thick so the solution I proposed was to grind down the tiles by 2-3mm using coarse diamond encrusted milling pads and then restore the polish with a set of fine burnishing pads. You can only do this with natural stone and given the tiles were 13mm thick it shouldn’t present a problem. I used a set of Tile Doctor milling pads, starting with the 50 grit Extra Coarse pad to remove the lippage throughout the whole floor. It was a large area and with 2-3mm to grind off the tile it took four days nearly three pads to complete. I then used the 100-grit coarse pad to further smooth the surface the 50-grit pad had etched, followed by the 200-grit pad to refine the finish even further. After every pad application, I rinsed and vacuumed and the area to remove the slurry. 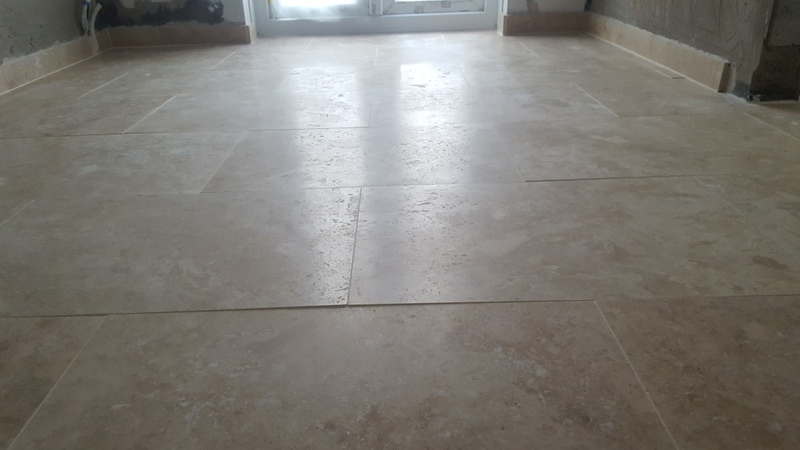 After removing the tile lippage, I knew that the floor would be a lot easier to polish using our set of four Tile Doctor burnishing pads, which would do the job of restoring the desired polish. I started with the Coarse 400 grit pad and worked my way through the system of burnishing pads using a little water to help lubricate and rinsing away the slurry between each pad. The pads were applied in sequence from Medium, Fine and then Very Fine pads to achieve a fantastic polished finish. Next, I needed to fill a lot of cavities remaining in the stone. I did this filling after the burnishing to avoid the filler coming loose during the work in progress. The final step in the restoration process was to seal the floor using our impregnating sealer, known as Tile Doctor Colour Grow. I highly recommend this product for stone as it not only does add durable protection by occupying the pores in the stone it also enhances it’s natural colours. 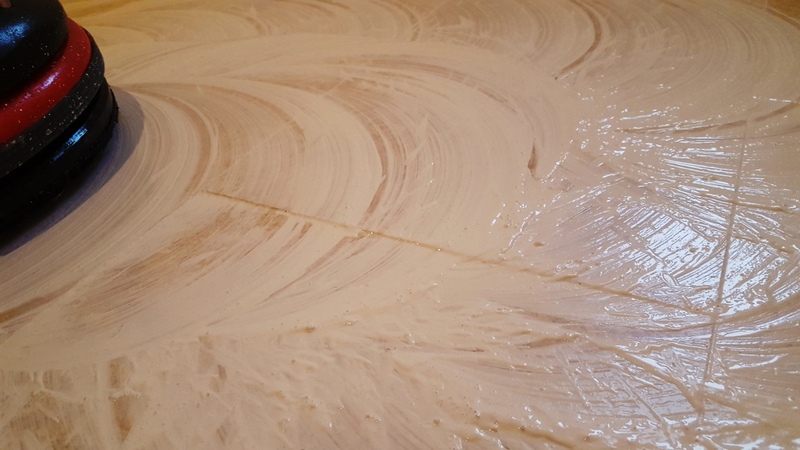 Finally, I removed any surplus sealer with a cloth and left the floor to dry for another hour, before using the Very Fine pad to refine the polish and ensure that no smears were present. 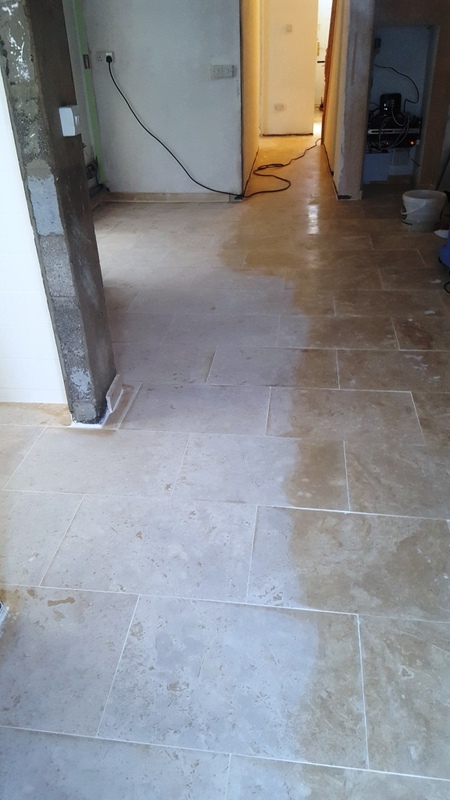 The work took eight days to complete and both myself and the customer were delighted with the results of the restoration of the floor which was a total disaster to look at when I first inspected it. 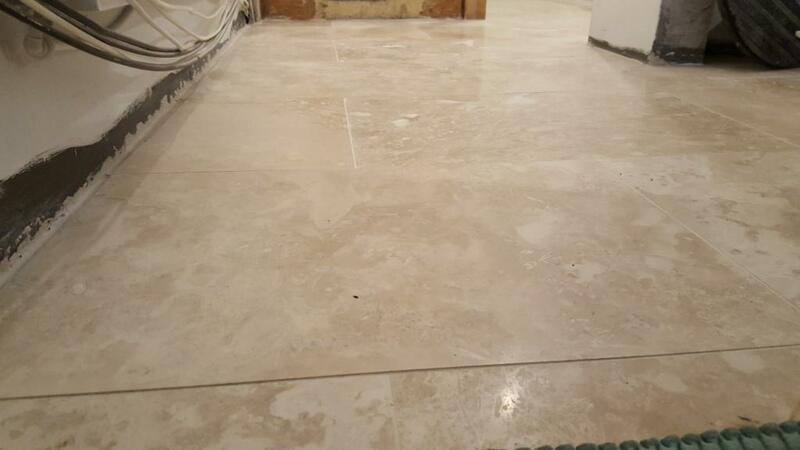 The customer thought it was beyond repair – until he found Tile Doctor.